For the past year, foreign coverage of Turkey has been focused on spectacular events: elections, terrorist acts, shooting down of Russian planes, and other geopolitical gambles. Throughout this period, however, a quiet revolution had been taking place in the Kurdish Southeast of the country in the form of the self-governance movement, which the Turkish state in the last weeks has been violently trying to suppress as part of its war with the PKK. In an interview, Lefteast asks Haydar Darici what autonomy looks like. Rossen Djagalov (RD): Could you first tell us what about the origins of the self-governance movement? Haydar Darici (HD): I should remark two points regarding the transformation of Kurdish politics over time before telling what is happening now in Turkey’s Kurdistan on the ground. First, PKK (Worker’s Party of Kurdistan), the central actor of the Kurdish liberation movement, had initiated a guerrilla struggle against the Turkish state in the 1980s and from then on increasingly received support from Kurdish masses. The guerrilla struggle had not only created liberated areas in the mountains surrounding Kurdistan but also effectively politicised and mobilised Kurdish population in cities. The movement defined the guerrilla struggle in the mountains and the political culture of protests in cities as the process of rebellion. In order to achieve freedom, however, to the movement, the cities also had to be liberated just as the mountains. This means that the actual war would now take place in cities rather than in mountains. The movement calls this new process, which actually began about five years ago, as the process of construction. The second point is that when the PKK first emerged and in subsequent years, the purpose was defined as national liberation, which meant at the time creating a socialist Kurdish nation state. In the late 1990s, however, the actors of Kurdish movement started a critique of nation state as well as the very idea of nation, a critique informed by the experiences of anti-colonial resistance on the global level and the subsequent failure of emergent nation states. This critique has ultimately led to a paradigm shift and made the Kurdish movement abandon the idea of creating a Kurdish nation state. Was it possible for a national liberation movement to go beyond the idea of nation and nation state, the ideas on which the movement grounded itself in the first place, and to create a revolutionary model that would emancipate not only Kurds but also all others in the Middle East? That model was democratic autonomy that was formulated mostly by Abdullah Öcalan in years in prison. A few years ago, the Kurdish movement has started experimenting with democratic autonomy in local settings in Turkey’s Kurdistan. This paradigm requires creating stateless spaces rather than creating a Kurdish state. I should note that it was the Kurdish youth and children who through a spatial politics prepared the ground upon which democratic autonomy could be constructed. 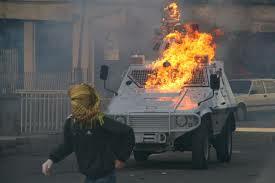 From the late 1990s on, youth and children have conducted a radical street politics, clashing with the police almost everyday, using stones and Molotov cocktails. Through this radical street politics, they turned streets into spaces of politics and made their neighborhoods and even towns inaccessible to the Turkish police. Democratic autonomy refers to transforming various domains of social life, including, law, economy, health, education, self-defense and the like through communes established in neighborhoods. To give some examples, local political actors created their own law system, solving the problems that occur within the community, not appealing to the state’s courts. They started with the establishment of their own elementary schools to provide alternative education. They are right now in the process of building cooperatives as part of again creating an alternative economy. The youth that are trained and armed under the YDG-H (Patriotic Revolutionary Youth Movement) took up the responsibility of self-defense in their neighborhoods and towns. Women are equally active in all these processes through their various organizations. There is co-presidency system applied in all the Kurdish towns, meaning that from bottom to the top in all formations one man and one woman share presidency. In terms of gender equality, rather than trying to convince men via education or so to share their power with women, the movement empowers women, giving them equal rights and responsibility, letting them to create their own organizations in all levels to which men do not have the authority to intervene. RD: What has been the ideological background of the self-governance movement, from what you have witnessed? What literature is being read, what kind of ideas—circulated? HD: There are various literatures being read and circulated in prisons, guerilla camps and towns, including Marxist classics, post-Marxism, anarchism, post-colonial studies, feminist theory, ecologic thought, and Ocalan’s large body of work written mostly in prison. But more specifically, I would say, Negri and Hardt’s Empire and Multitude and Murray Bookchin’s books on ecology and autonomy can be considered, among others, the constitutive texts of the movement’s new paradigm. RD: In what capacity have you observed these processes? 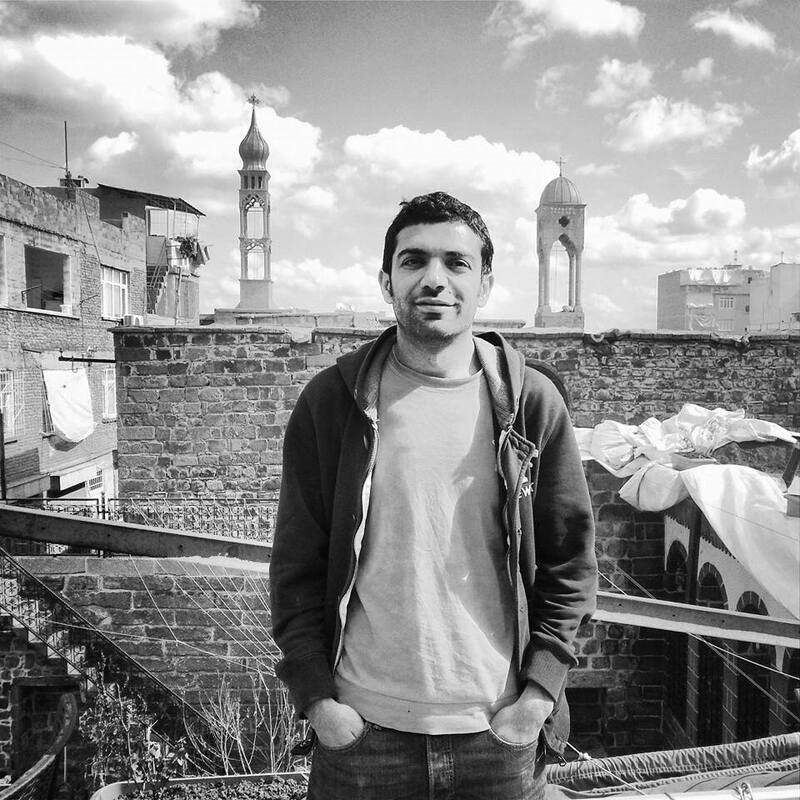 HD: I lived in Cizre for a year and a half between 2013-2015 conducting ethnographic research about Kurdish youth politics. 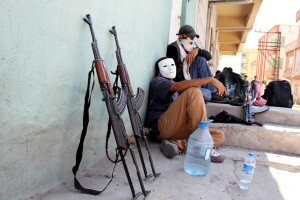 Cizre is one of the places where the autonomy is being constructed most strongly. That is why actually I decided to do research there. During my research I had the opportunity to interact with and interview the actors, especially youth, of this process. After finishing my research, I went there for short follow up visits. I also had short visits to other towns around during and after my research in order to have a sense about the construction process elsewhere. RD: In which parts of the Turkish Southeast is the movement the strongest? How does the creation of local self-governance correlate to HDP political structures or to YPG/PKK activity? Are the Turkish military’s sieges of Cizre and Silvan aimed against the movement? What is the interaction (if any) between this movement and the Rojava autonomy across the border with Syria? HD: Autonomy in Rojava was definitely informed and inspired by the paradigm formulated by Abdullah Öcalan. Öcalan, before he was arrested, lived in Rojava for a long time. That is why he has great influence on people there. Also even though YPG and PKK are separate organizations, they share the same ideology. We know that numerous PKK guerillas went to Rojava to join the fight. While I was doing research in Cizre, many young people from Cizre also joined YPG. And currently many people who fought in Rojava came to Cizre and other towns to join the youth’s fight against the Turkish state. Furthermore, the process of construction of autonomy in Rojava has started before the process in Turkey’s Kurdistan. The political actors in Turkey’s Kurdistan frequently crossed the border to Rojava and learned a lot from experience there. That is to say that Rojava and Turkey’s Kurdistan are strongly connected. HDP was also established in light with this new paradigm but it was meant largely to organize in the western (Turkish) part of Turkey, though not in western part alone. Together with leftists, anarchists, feminists and all other opposition groups, HDP aimed at disseminating this paradigm and translating the struggle in Kurdistan to western Turkey. I would say that even though HDP was quite successful in elections, it failed to produce a revolutionary politics. There are many reasons that can account for this failure: HDP translated the revolutionary politics into the highly problematic discourse of multiculturalism and it could not go beyond the liberal discourses of peace and human rights. This framework did not let them to deal with the question of violence. By this I mean that while the youth in Kurdistan were taking up a radical armed struggle against the state, the HDP pretended like there was no such resistance but human rights violations by the state. The dilemma for HDP was that they had to do politics in two radically different worlds. In Kurdistan people have long been politicized while in Turkish part opposition groups have largely been marginalized, except for the Gezi movement, which could, however, be considered a breaking point. Furthermore, Kurdistan was a colonized land, the state violence there was naked, so the resistance against it. But rather than truly facing this dilemma and find ways to organize in western part, HDP chose the easy way by embracing the discourse of multiculturalism. RD: Kurdish society is quite heterogeneous. In addition to supporters of Kurdish autonomy, and democratic socialism (the HDP base), there is a significant number of conservative and Islamist Kurds, some of whom strongly, even militantly opposed to anything smacking of PKK. In addition to these ideological divisions, there might be plenty of individuals atop the different social hierarchies, whether of a capitalist (Kurdish businessman) or feudal kind (tribal leaders in the more rural areas), who might not be fully comfortable with some of the practices of local self-governance. Some of these swung to AKP during the most recent election. Besides, some of the regions the movement has reached are quite ethnically diverse, containing Turkish and Arab populations. How is the movement for local self-organization navigating these faultlines? HD: Kurdish movement over time became a hegemonic power in Kurdistan as well as in Kurdish populated neighborhoods in western Turkey. It could, therefore, manage to politicize and contain both religious people and seculars. In this sense, it turned to be the only actor in Turkey that can go beyond religious/secular binary, which indeed reproduce one another. The movement appealed to both working and middle classes through opening up multiple political spaces for multiple groups. It also received support from Kurdish tribes all over Kurdistan. Even the families of the paramilitary Village Guards who in the 1990s fought against the PKK started supporting it. What is at stake now is that the Kurdish struggle is taking a new form and some of the actors have trouble adapting to the new process. For example, the space for civil politics is sharply narrowed down due to the escalating state violence as a response to the construction of autonomy. 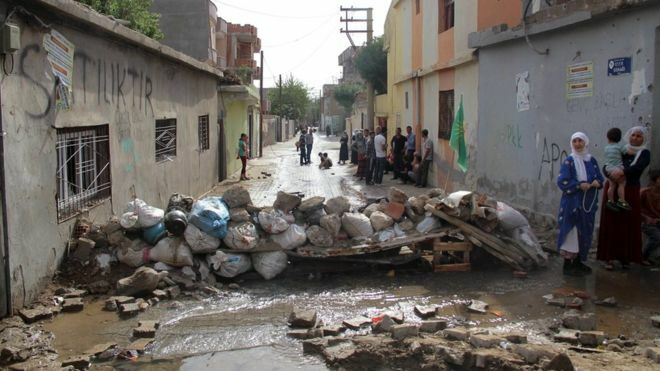 Middle classes in big cities like Diyarbakir and Van, which have long invested in civil/NGO politics seem to be hesitating about participation in the present politics, while poor neighborhoods in these cities have increasingly been mobilized. And people in some towns where the Kurdish movement was strong but not hegemonic have been silent so far as they could not declare autonomy and failed to support the resistance in other towns. It is, however, the towns such as Cizre, Silopi, Gever, Lice, Silvan, Nusaybin, among others, where the movement has historically been hegemonic and where there was always radical politics that shoulder the new process. 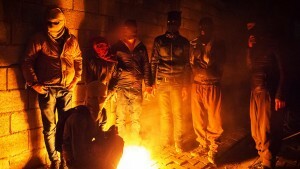 It is, therefore, significant to note that while big cities like Diyarbakir, which is was often referred to as the unofficial capital of Kurdistan, are becoming provincialized, relatively small towns are turning to be the main sites of resistance. I should also note that the youth made themselves the main actors of the Kurdish movement, as it is youth who define what the political is in the new process and who most effectively resist the state. To sum, we are in a process where the Kurdish struggle is being elevated to a higher level at the expense of marginalization in certain places. But I think in the long run these certain places will also be radicalized as autonomy is being constructed more strongly in other towns. RD: What are the prospects of the self-governance movement spreading beyond the traditionally Kurdish parts of Turkey? Is any expansion feasible in light of AKP’s recent electoral victory and the upsurge in (anti-Kurdish) Turkish nationalism, which contributed to that victory? Would it be at all possible to hold on to the current self-governance successes given the government’s increasing militarization of the region? What are the prospects of the movement? HD: This model of democratic autonomy poses an immense challenge to the Turkish state as in a region over which the state claims authority an anti-capitalist life is being constructed. And in the long run it has the potential to spread to other parts of Turkey. In order to fight this, last year, the state tried to enter neighborhoods by force and to conduct arrests. In turn, the youth dug deep tranches in entrances to neighborhoods and stood guard with their weapons on their barricades. The Turkish security forces could neither pass the trenches nor the youth standing guard. After general elections in June, the government that had declared the end of negotiations attacked the Kurdish towns even more brutally. In many towns in Kurdistan weeks-long curfews have been declared. Snipers were located in towns, killing those who did not obey the curfew. The towns were also surrounded with military tanks, bombing the neighborhoods. Unable to reinstate its authority, the state tried to deem the Kurdish towns uninhabitable. Wounded people were not allowed to be taken to hospitals. Those who were killed were not allowed to be buried. People, therefore, spent nights with dead of bodies of their loved ones, placing ice on them to prevent decomposition. But in spite of this, the state could not enter the neighborhoods as the youth dug the trenches even deeper and strengthened their arsenal. In order to protect themselves from snipers’ bullets, for instance, they hang enormous curtains above the streets, blocking the snipers’ view. This is a method they have learned from Rojava. They also break down the walls of houses and go from one house to another without stepping outside, sharing their food with others and helping the wounded. They are kind of remaking the architecture of towns in a way that is suitable for self-defense. Currently many Kurdish towns, including Cizre, Silopi and Nusaybin are again under curfew, surrounded by tanks and snipers. 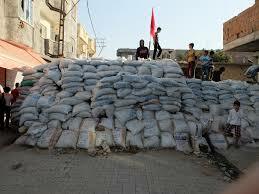 Prime Minister Davutoglu recently said that they would cleanse these towns house by house. The state is trying to destroy autonomy being constructed in Kurdistan at the expense of destroying the entire towns and killing numerous people. 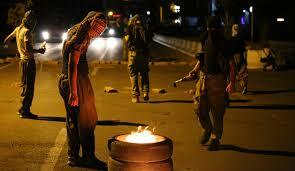 And people of Kurdistan, predominantly youth, are resisting to death. So is autonomy sustainable in Kurdistan, given the extreme state violence? I think it is. It is because the state cannot win a war as such, no matter how brutal it is. In the early 1990s, it was only PKK militants who were involved in armed conflict in towns. But now, the difference between guerillas and civilians becomes increasingly blurred. Now civilians are also armed and doing their self-defense. 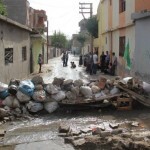 In Cizre, for example, people knew that the state would attack again and declare a month-long curfew, but they did not leave their town, except that they took some elderly and children out of the town. So I do not think that the state could break such a resistance. Lastly, this struggle aims at transforming not only Turkey but also the Middle East at large. That is to say that democratic autonomy and self-defense that is being experimented in Turkey’s Kurdistan and more strongly in Syria’s Kurdistan can be a model for whole region, and perhaps beyond it, in this era of new wars. But the question is how this model will spread to other places? As I said before, HDP could not spread this politics to western Turkey so far. And in Syria, it is limited to Rojava. But in the Cizir canton of Rojava, there are different ethnic and religious groups that participated in the process of construction of autonomy, by creating their own institutions. This shows that this politics does not only appeals to Kurds but thinking of Turkey and the rest of the Middle East, I do not have an answer about whether democratic autonomy can be an alternative model in the whole region. RD: Against the background of the great tragedies that are unfolding in the Middle East, the self-organizing taking place among Kurdish communities in Syria and Turkey is a bright spot and something leftists elsewhere should be in solidarity with. What form do you think this solidarity should take? HD: Right now it is very urgent that they denounce in international media the Turkish state’s current attacks on Kurdish towns. This remarkably informative article on the brave and inventive actions by the Kurds demonstrates that autonomy can be a very effective way for people to gain their freedom from oppressive control. However, I fear that history has shown that much broader based cooperation and organization is required to sustain anything like a modern civilization. It is my observation that the existence of a modern civilization requires the just and competent actions of many thousands of individuals and organizations to furnish its many advantages. However, I stand ready to be proven wrong!